This is a simple Year Calendar control, you can use it freely. The class hierarchy chart details the class relationships of year calendar. AFCYearSelectWnd.h Main Year Calendar control header file. 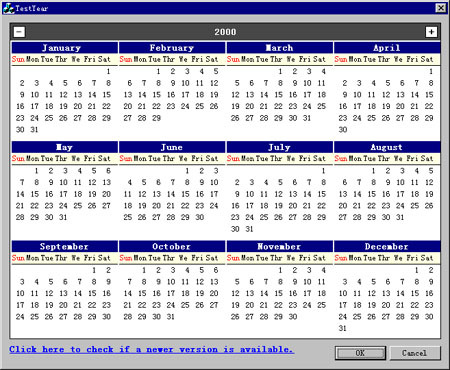 AFCYearSelectWnd.cpp Main Year Calendar control source file. OK - so how do you use it? where rect is the dimensions, pParentWnd is the parent window, and nID is the id.